Here lies the 2nd update in over a decade. The Mega SG came out, including a ton of reviews. No one seemed to test it with the Power Base Converter though. 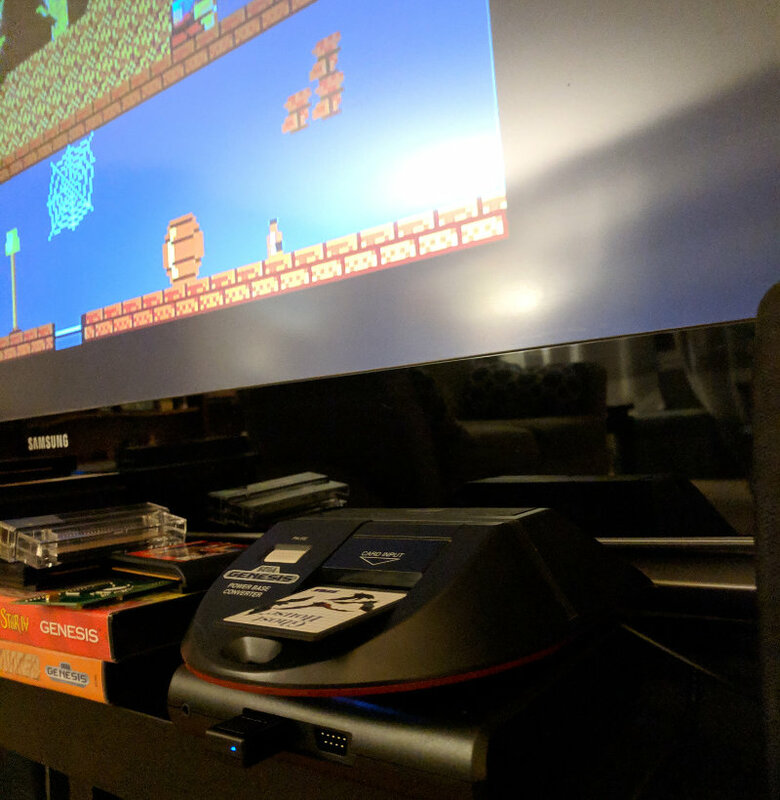 Since I modded mine in the 90s to fit a Genesis Model 2, i thought I'd test it out. Turns out it works just fine, including Sega Cards. A few more photos on imgur. Wow, I updated the site after almost 10 years. Simple page that lists games by ratings! I've added a quick little thing to show the average rating of all games in the games list! This also shows up on the game page itsself. Also, there's a count on the front page on how many spam-bot posts have been prevented since CAPTCHA was implemented. I've added it to show the last 3 days worth of comments, instead of just the last one. It also now shows the total number of comments added, instead of the total number of games that received comments. Also, when you click on one of the comment links from the Recent Comments box, it will take you right to the comment. I've cleaned up a few hundred more bot-spams, as they were still getting through. However, I've also integrated CAPTCHA into the reviews. CAPTHCA is that crap where you have to type in some skewed text to "prove" that you're human. Hopefully this helps or stops the spam! I've also opened all games up for comments, even those that I don't have screenshots, box scans, or any other details for. It was originally intended that I add all of this, but since it's apparent I'm not adding it, well, post away.